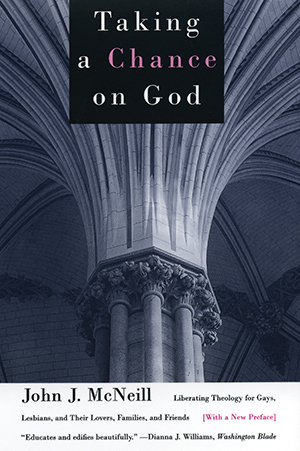 The second book in John McNeill’s pathbreaking trilogy for lesbian and gay Christians, Taking a Chance on God brings a gay perspective to fundamental Christian questions: How can we understand suffering and death? How can we overcome fear, anger, and guilt? What gifts do we bring to the body of Christ?